Brave is a new privacy and security focused web browser with built-in support for torrent downloading and streaming. The browser allows seasoned downloaders and complete novices to get their torrent fix instantly, without any hassle. After a reign of roughly a decade, basic old-fashioned BitTorrent clients have lost most of their appeal today. While they’re still one of the quickest tools to transfer data over the Internet, the software became somewhat outdated with the rise of video streaming sites and services. But what if you can have the best of both worlds without having to install any separate applications? This is where the Brave web browser comes in. First launched early last year, the new browser is designed for privacy conscious people who want to browse the web securely without any unnecessary clutter. On top of that, it also supports torrent downloads out of the box, and even instant torrent streaming. To find out more, we reached out to lead developer Brian Bondy, who co-founded the project with his colleague Brendan Eich. “Brave is a new, open source browser designed for both speed and security. It has a built-in adblocker that’s on by default to provide an ad-free and seamless browsing experience,” Bondy tells us. Bondy says that Brave significantly improves browsing speeds while shielding users again malicious ads. It also offers a wide range of privacy and security features such as HTTPS Everywhere, script blocking, and third-party cookie blocking. What caught our eye, however, was the built-in support for BitTorrent transfers that came out a short while ago. Powered by the novel WebTorrent technology, Brave can download torrents, through magnet links, directly from the browser. While torrent downloading in a browser isn’t completely new (Opera has a similar feature, for example) Brave also supports torrent streaming. This means that users can view videos instantly as they would do on a streaming site. “WebTorrent support lets Brave users stream torrents from their favorite sites right from the browser. There’s no need to use a separate program. This makes using torrents a breeze for beginners, a group that has sometimes found the technology a challenge to work with,” Bondy says. The image above shows the basic download page where users can also click on any video file to start streaming instantly. We tested the feature on a variety of magnet links, and it works very well. On the implementation side, Brave received support from WebTorrent founder Feross Aboukhadijeh, who continues to lend a hand. Right now it is compatible with all traditional torrent clients and support for web peers will be added later. “WebTorrent in Brave is compatible with all torrent apps. It uses TCP connections, the oldest and most widely supported way for BitTorrent clients to connect. We’re working on adding WebRTC support so that Brave users can connect to ‘web peers’,” Bondy says. While the downloading and streaming process works well, there is also room for improvement. The user interface is fairly limited, for example, and basic features such as canceling or pausing a torrent are not available yet. “Currently, we treat magnet links just like any other piece of web content, like a PDF file. To cancel a download, just close the tab,” Bondy notes. What people should keep in mind though, considering Brave’s focus on privacy, is that torrent transfers are far from anonymous. Without a VPN or other anonymizer, third party tracking outfits are bound to track the downloads or streams. In addition to torrent streaming, the browser also comes with a Bitcoin-based micropayments system called Brave Payments. This enables users to automatically and privately pay their favorite websites, without being tracked. Those who are interested in giving the browser a spin can head over to the official website. 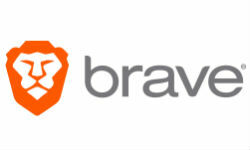 Brave is currently available a variety of platforms including Windows, Linux, OS X, Android, and iOS.